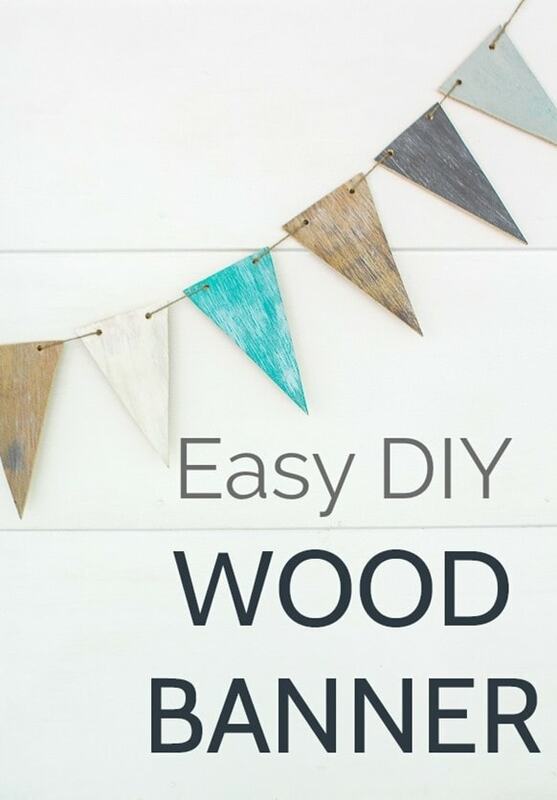 How to make an easy wood banner - Lovely Etc. A couple of weeks ago I shared this fun wood banner as part of my May giveaway and I got tons of comments about how much people liked it. 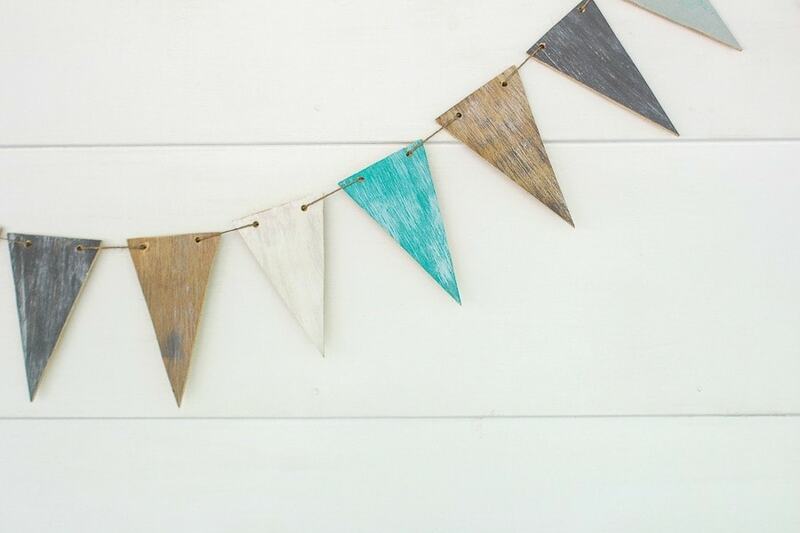 Since only one lucky reader got to win the giveaway, I thought it would be the perfect time to share how easy it is to make your own wood banner. 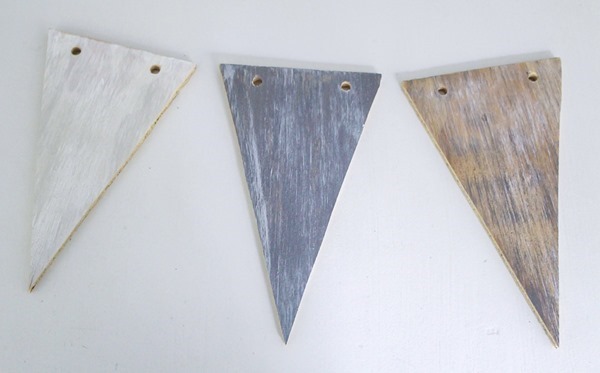 This project is quick and easy even for a beginner DIYer and it’s a great project to put your scrap wood pile to use. 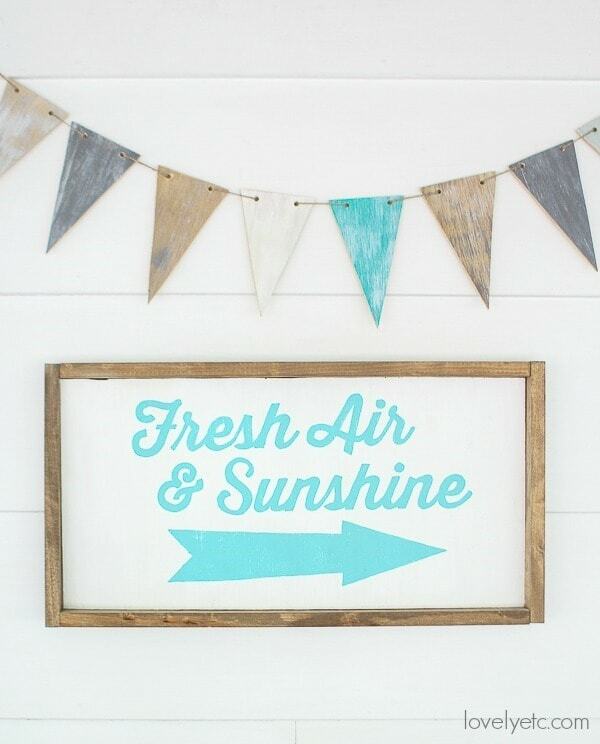 I made my banner using a little pile of scrap wood I had left over from my painted wood wall. I had been holding onto it just waiting for the perfect scrap wood project and this was definitely it. 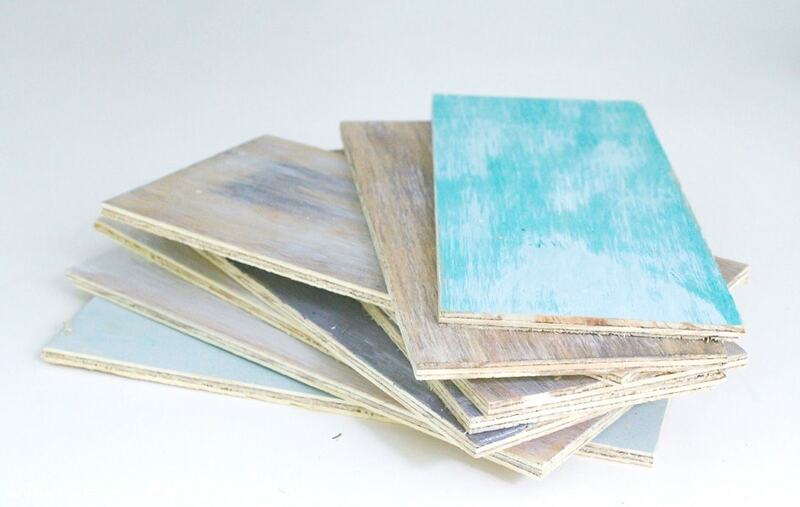 If you don’t happen to have a convenient little stack of painted wood scraps, no problem, this is still really easy and inexpensive to make. Making this banner is very simple. 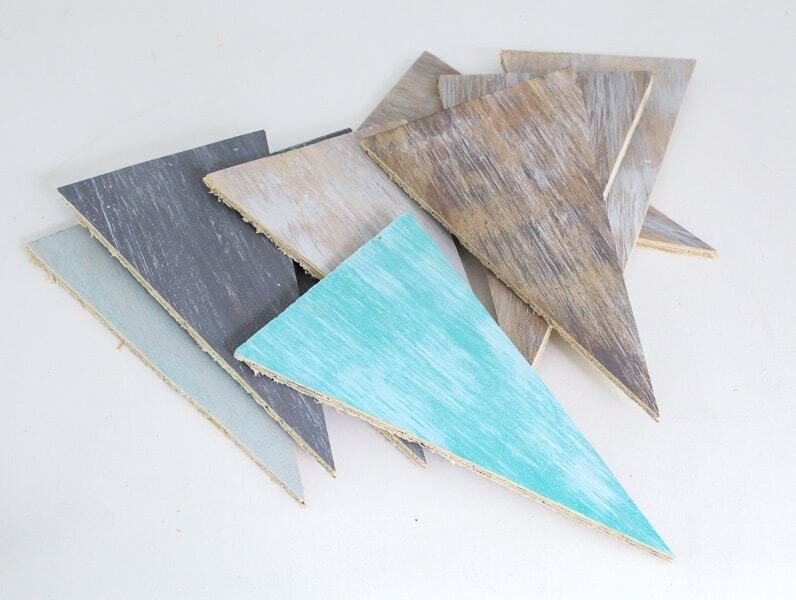 If you don’t use a lot of power tools, cutting the wood into triangles might seem intimidating, but it really is easy. The first step is to draw your triangle shape. I made my banner pieces four inches wide by eight inches long and that size worked great, but you can make them any size you want. To draw a nice symmetric triangle, draw the short edge and mark the bottom point of the triangle. 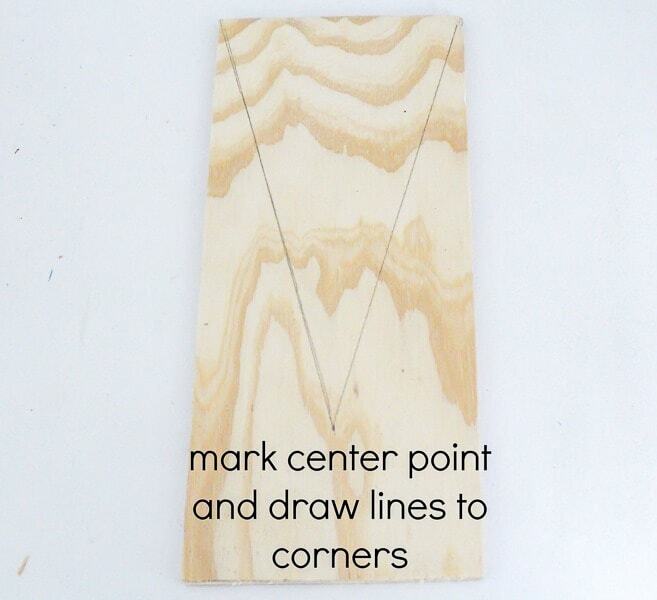 Make sure the bottom point is centered halfway between the two top corners and then use a straight edge to connect the three corners of the triangle. 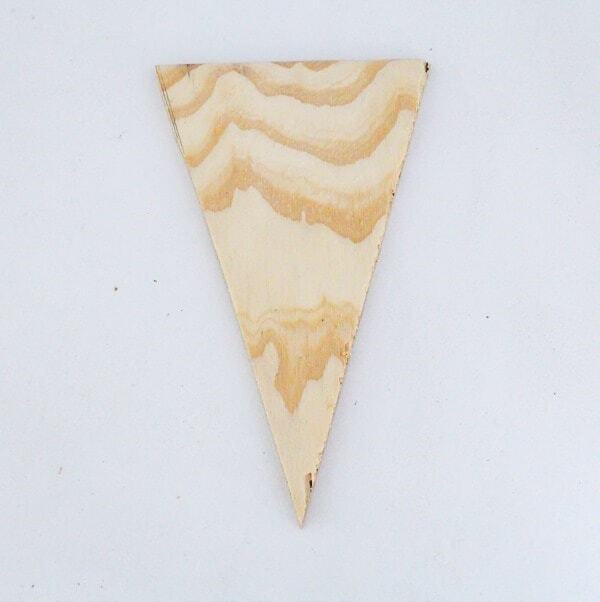 Once your first triangle is cut, you can use it as a pattern to trace onto the rest of your wood pieces. And, seriously, do not be intimidated by the jigsaw. They are really simple to use and only cost around $30 and can be used for so many different projects. Once you have your wooden triangles cut, use a drill to drill two holes into the top of each triangle. Again, once you do the first one, you can use it as a pattern to mark where the holes on all of the other pieces should go. Lightly sand the edges of your wooden pieces to remove any rough edges. The last step is to string your wood pieces on twine. I originally chose to use twine for my banner because I liked the rustic look, but it turns out there is an added bonus to using twine. When you string the plywood onto the rough twine the two materials grip each other and stay in place. I didn’t have to tie anything to keep the pieces in place and it’s easy to adjust the spacing between the triangles. I love how this wooden pennant banner adds great texture and a touch of farmhouse style to any space. It would look gorgeous on a mantel, as part of a gallery wall, or as decor at a wedding. This is just so cute! I love the upcycling factor and the colors are great.